Richard Binzel explains, the 2015 New Horizons flyby is only half the story of this intrepid spacecraft, as it continues its voyages through the Kuiper Belt. Writing in the journal Nature Astronomy, Professor of Planetary Sciences Richard Binzel reviews what the NASA New Horizons mission to Pluto delivered and looks forward to its continued traverse of the Kuiper Belt ahead of a projected flyby of a second object planned for January 1, 2019. Richard Binzel has been an MIT faculty member for nearly 30 years as a Professor of Planetary Science in the Department of Earth, Atmospheric, and Planetary Sciences and holds a Joint Professor appointment in the Department of Aeronautics and Astronautics. He is known as one of the world's leading scientists in the study of Pluto and other areas of planetary science that include asteroids and meteorites. Binzel, who published his first scientific paper at the age of 15, completed his Bachelor's degree in physics at Macalester College. In 1980, Binzel was one of the first recipients of the American Physical Society’s Apker Award for research achievements by an undergraduate. He went on to receive his Ph.D. from the University of Texas where his research included the first direct mapping of Pluto’s surface, revealing unexplainable features entreating further exploration. Binzel was honored with a Presidential Young Investigator award from George H. Bush in 1990 and the Harold C. Urey Prize from the American Astronomical Society Division for Planetary Sciences in 1991. Binzel was named an MIT MacVicar Faculty Fellow in 1994 in recognition of his dedication to teaching. Asteroid number 2873 bears his name, an honor bestowed by the International Astronomical Union in recognition of his contributions to the field. 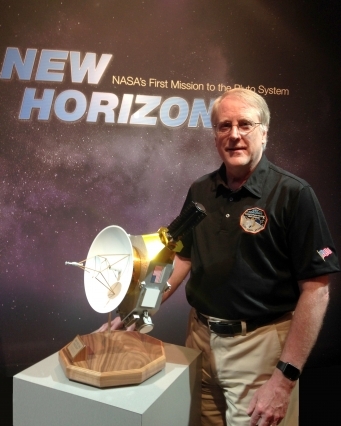 Binzel was a founding member of the “Pluto Underground,” which in 1989 began the long task of designing and gaining approval for a spacecraft mission to Pluto. 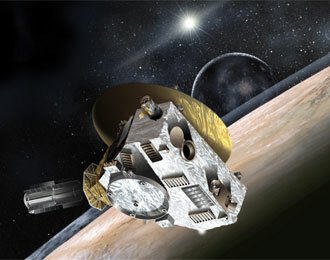 Surviving cancellations of six prior mission starts, the New Horizons mission design was approved by NASA and finally launched in January 2006 on its nine-and-one-half year voyage to Pluto. Binzel serves as a Science Team Co-Investigator whose responsibilities include integrating the results between mission elements studying different aspects of geology, geophysics, and composition. His particular interests are centered on understanding the seasonal processes that shape Pluto’s diverse surface. New Horizons is the first mission to Pluto and the Kuiper Belt - a true voyage of discovery on the planetary frontier.